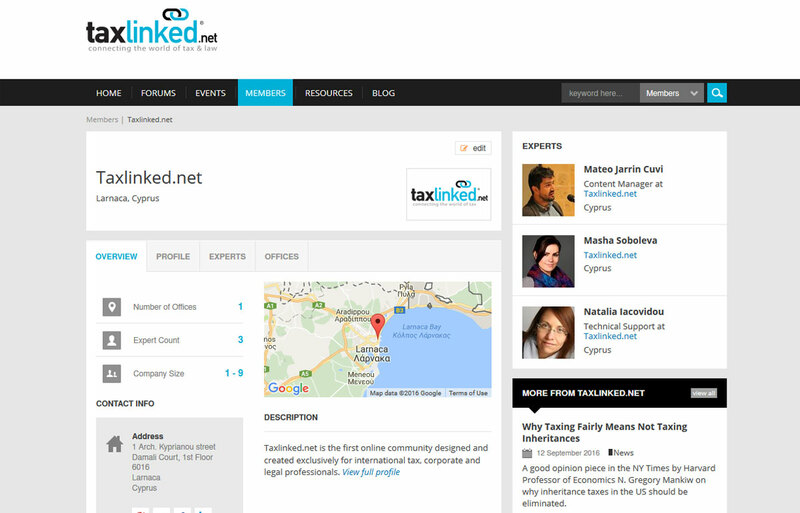 Taxlinked.net is an OnLine community of professionals engaged in international taxation, including consultants, law firms, banks, corporate agencies, and others. 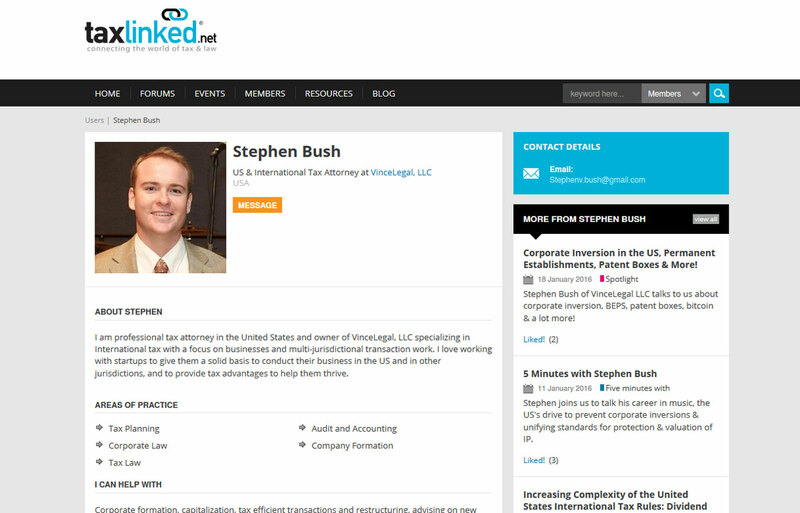 Developing a network of professionals and companies networking in order to collaborate and exchange members' information. 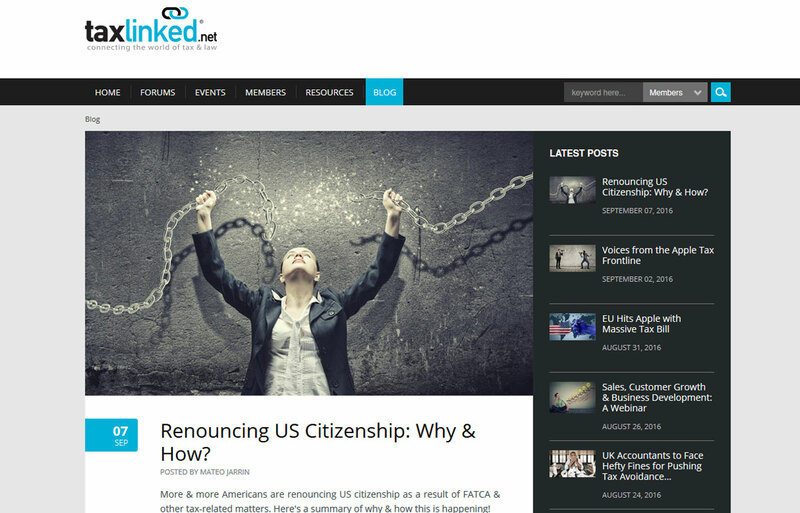 OnLine community site based on Kentico CMS, capable of hosting thousands of members. Graphics were created from original designs. Category: "Community Websites", Custom, "Online Marketing"